It all started with Rick Pullin, who opened his own automotive repair shop in 1989–Rick’s Auto Repair. His primary goal was to be an asset to the Marcus Hook/Boothwyn community by providing affordable, quality auto repairs. The reputation for service excellence started from there and has continued to grow ever since. Customers have come to rely on our honesty and professionalism. When we give them a diagnosis, they know they can take it to the bank. And they know that if there’s a performance problem, their friends at Rick’s Auto Repair in Marcus Hook, PA can handle it. Trust Us–We Treat You Like Family! 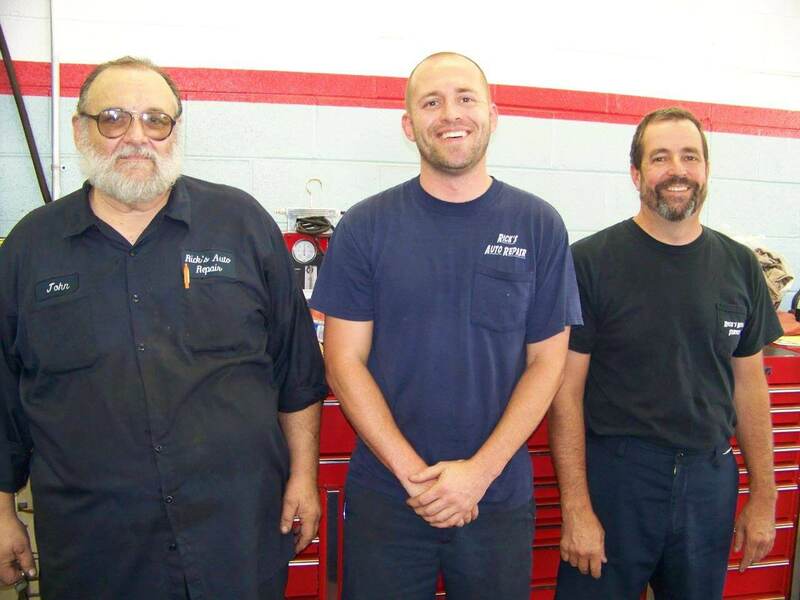 In 2009, Rick sold the shop to the current owner, his step-son, Billy Ashton. Billy had been working under Rick for years and was already running the shop prior to purchasing it. While Rick, took ownership of another shop less than an hour away, Billy carried on the legacy of quality service that had been established. His extensive knowledge of the automotive industry came from his previous years of dealership experience. Billy has taken Rick’s Auto Repair to the next level by providing exceptional customer relations. Customers are treated like family and they’re never offered unnecessary services. Sit back, relax and make yourself at home jn our clean and comfortable waiting room, with free Wi-Fi. At Rick’s Auto Repair, we continue to be a family-oriented shop that provides top-quality automotive service. Our mission of caring for our customers has carried on into the second generation ownership, and we are proud to have maintained and grown our loyal customer base over the years. No matter what service your vehicle may need, our team is dedicated to bringing you a pleasant, easy experience during your vehicle’s auto repair. Marcus Hook, Boothwyn, and other local communities have trusted our ASE Certified technicians with their car services since our beginning because we are dedicated to getting the job done right the first time. Get Repairs Done Right the First Time! We’re a team of ASE Certified technicians that protect and preserve your vehicle’s original condition. From an intimate and independently owned repair shop, our experts meet and exceed customer expectation. With three service bays and five lifts, we give your vehicle personalized attention. We go above and beyond at every service appointment and welcome the opportunity to offer expert automotive counsel. Feel free to come to us for any second opinions before receiving an expensive repair service. Our engine diagnostic equipment and experience will never steer you wrong. You can avoid costly misdiagnoses by visiting Rick’s Auto Repair first!